Erin Nealy Cox was sworn in as the United States Attorney for the Northern District of Texas on November 17, 2017. 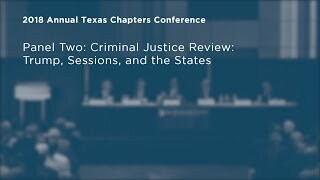 As U.S. Attorney, she is the chief federal law enforcement officer responsible for all federal criminal prosecutions and civil litigation involving the United States in the Northern District of Texas, which covers 100 counties, over 96,000 square miles, and a population of approximately eight million. Ms. Cox oversees a staff of approximately 100 attorneys and a similar number of non-attorney support personnel assigned among five division offices. In March of 2018, Ms. Nealy Cox was appointed by Attorney General Jeff Sessions to be a member of the Attorney General’s Advisory Committee (AGAC). The AGAC was created in 1973 and reports to the Attorney General through the Deputy Attorney General. The AGAC represents the U.S. Attorneys across the country and provides advice and counsel to the Attorney General on matters of policy, procedure, and management impacting the Offices of the U.S. Attorneys. 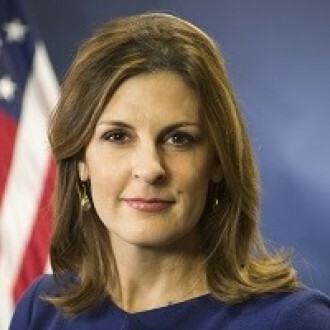 Prior to her appointment as U.S. Attorney, Ms. Cox worked as a Senior Advisor at McKinsey & Co. in the cybersecurity and risk practice. She also served on the Board of Directors of Sally Beauty Holdings, a large retailer on the NYSE. From 1999 to 2008, Ms. Nealy Cox served as an Assistant United States Attorney in the Northern District of Texas, where she prosecuted cyber crimes, white collar crimes, and general crimes. In 2004 and 2005, she served at Main Justice as chief of staff and senior counsel to the Assistant Attorney General in the Office of Legal Policy. From 2008 to 2016, Ms. Nealy Cox was a member of the executive leadership team at Stroz Friedberg, a cybersecurity and investigations consulting firm, ultimately leading the firm’s global incident response business. Ms. Nealy Cox clerked for the Honorable Henry A. Politz, when he served as Chief Judge of the United States Court of Appeals for the Fifth Circuit, and the Honorable Barefoot Sanders, United States District Judge in the Northern District of Texas.